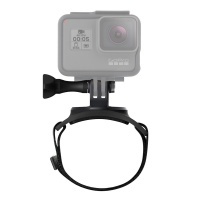 GoPro cameras are great at filming action sports and over the years people have developed specific mounts and accessories for filming kitesurfing and wakeboarding. 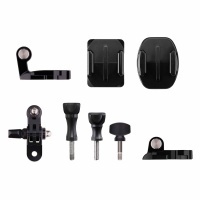 From mounts on the kite lines, boards and cable handles we have the right mounts and accessories for you. These are official GoPro mounts plus many other compatible mounts we have found and used ourselves to get the shots we love. If you have any questions over mounting your GoPro onto your kite or wakeboard then please contact us as we should be able to advise the best mount for you. Introducing the revolutionary new way to film yourself down the cable park! 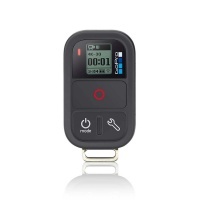 With the Wake Cable Mount; simply slide in and click into place, press record and away you go! 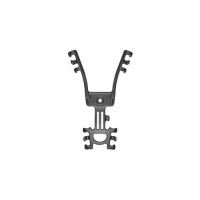 The best Kite Mount out in the market today! 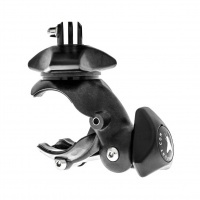 Fast and easy to attach to your kite lines no more rubber hands and no more shaky shots. 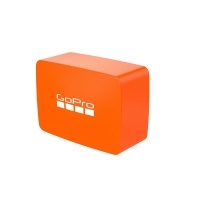 Fits GoPro Hero3/4 and Hero 5 Cameras including the Sessions. Get equipped for your season of filming! The P.O.V. 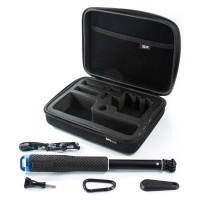 Action Bundle keeps your equipment organised and comes with a 7- 19" extending pole for the ultimate camera shots! 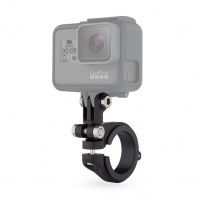 Get super stable results even on the water with GoPro's floating hand grip! 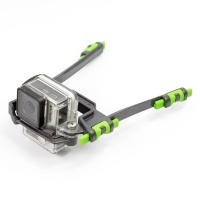 Lightweight and comes with GoPro wrist strap, thumb screw wrench and bottle opener for those times in need! Control your GoPro from a distance with the Smart Remote. Waterproof to 10m depth it's ideal for burst mode selfie shots or controlling when the camera out of reach in wet locations. Want to fix your GoPro to your bike or other small round pole objects? 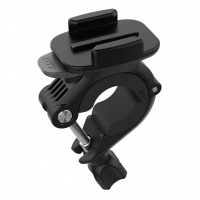 The GoPro Pole Clamp Mount is perfect for tubes 9-35mm diameter like a handlebar, seatpost or pole. 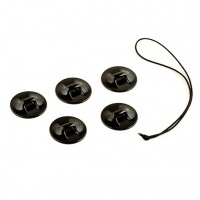 Attach to your hand, your wrist, arm, leg, ankle, neck, almost anywhere! With a 360 rotation and tilt the possibilities are endless! Camera case and lens fogging up on your GoPro? 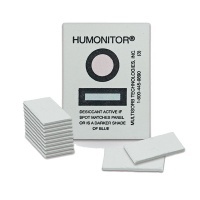 The Anti Fog inserts fit snug in the case to eat the moisture and stop fogging. You get a number of sets in the kit and can reuse them. 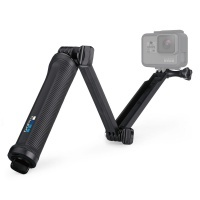 The 3-Way Mount is the ultimate selfie setup, used as a camera grip extension arm and a tripod. The way the arm bends round you don't get it in the shot as much as a normal pole. 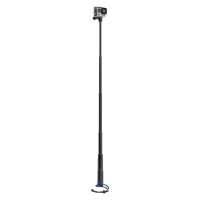 The 37in SP telescopic pole is a must have accessory for board riders want the best POV footage from their GoPro cameras. Integrated tripod mount & comfy grip as standard. 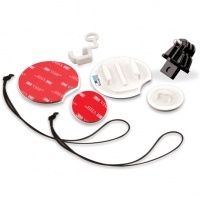 The perfect mount for fixing to a surfboard or any other board! 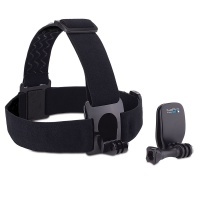 The GoPro Surf mount kit contains two large sticky pads and a FCS finbox mount and security leash attachments. An easy way to mount your GoPro camera on your head, helmet or cap with the new revised helmet mount and quick clip system. 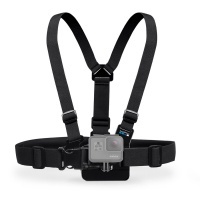 Capture all of the action hands free with the GoPro Chesty mount. Wear your GoPro and forget about it to capture some awesome footage. Great on bikes and sky dives. Don't want to loose your GoPro camera? Then attach it with a bit of string, this is an extra separate sticky mount that the camera is attached to simple and very affective. 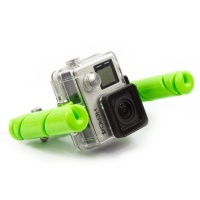 With the Camrig KiteHero kite line mount you can mount your GoPro 3/4 or 5 to your depower kite. Couple this with the GoPro remote and you have an amazing camera setup. 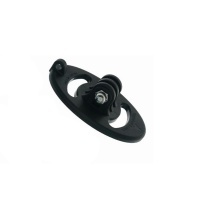 The Camrig Kite strut mount for GoPro cameras attaches your camera onto the mid strut on the kite to give those panoramic helicopter style shots. Simple to use for video or photos. 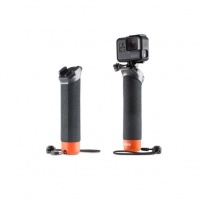 Want to video with your gopro from your kiteboard or wakeboard? 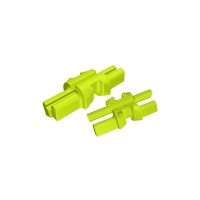 Then the Flymount Fin Mount is perfect, comes with all fittings to fix to standard fin holes and even comes with bolts. 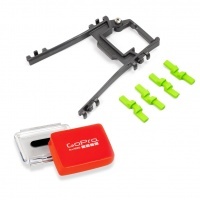 Perfect GoPro Mounting package for a Kitesurfer with a GoPro. 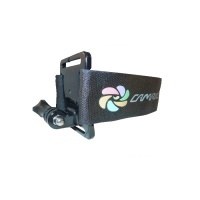 Get the camrig kite line mount along with a floating backdoor for the camera just incase! 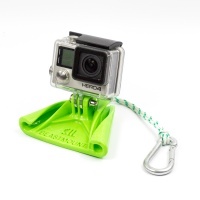 The Classic Camrig Kitehero mount is prefect for older GoPro models and other cameras that attach with a tripod mount. There is the slot/screw in gopro attachment and a tripod hole. Unltra lightweight construction, adjustable from 20mm to 50mm grip with soft urethane inserts to secure your shots in a wide range of extreme sports! The Line Mount Plugs fit the Camrig Kite Hero and Kite Line Mounts to stop the camera sliding up and down the line and to hold it more stable and secure to the kite lines.